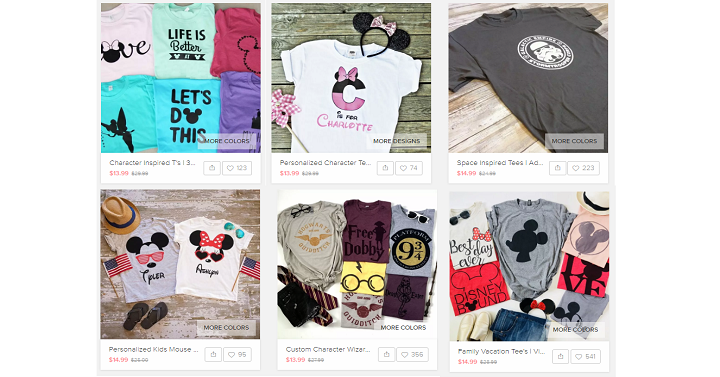 Disney Tees on Jane Starting at $13.99! Who’s going to Disney this year? Snag some fun Disney Character Tees right now for as little as $13.99! Make some cute personalized tees for everyone in the family or grab their favorite character! Shipping depends on which shop you purchase from.